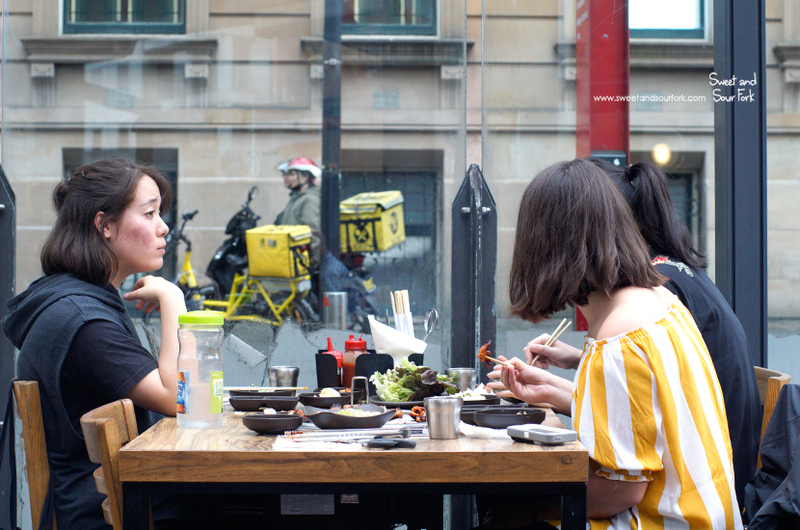 The best Korean BBQ I’ve ever had? 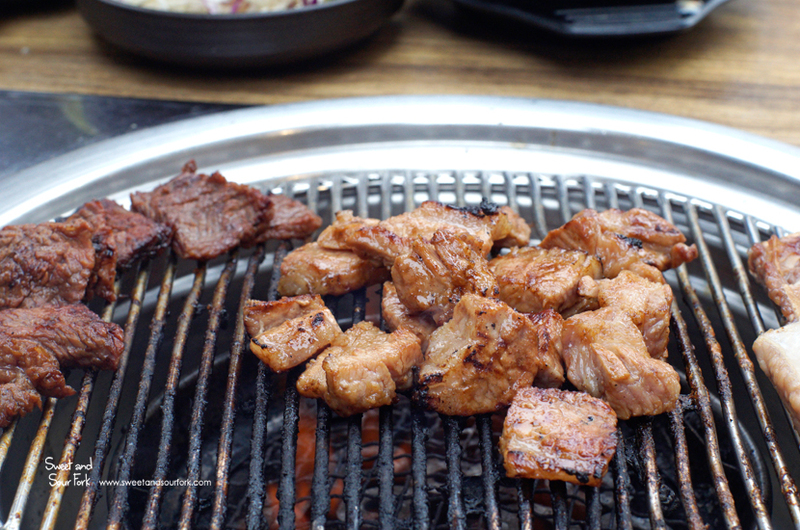 It would have to be that time in Seoul where I feasted on a whole 600g plate of pork belly. I’ve never before, or since, had pork belly that was quite so indulgently fatty and delicious. Just the thought of that smoky, juicy pork, wrapped with spicy bean paste and scallions in fresh salad leaves, makes my mouth water. Of course, I haven’t been foolish enough to try and replicate that experience since coming back to Australia. Not only do I think that I won’t be able to find any sensible place that will sell me 600g of pork belly at the degree of fattiness I found in Korea, it also just seems a bit too much to have on a regular, non-holiday day. 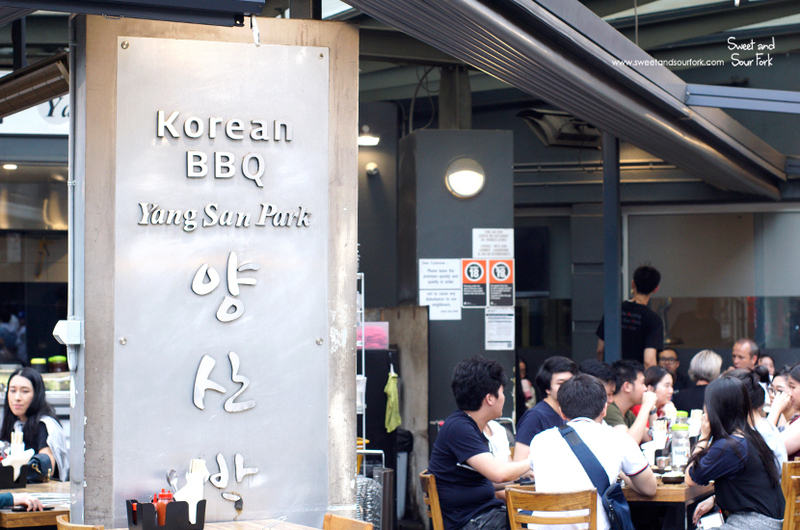 But I will admit that when I laid eyes on Yang San Park, with its outdoor setup so reminiscent of Korea in both appearance and the smoky, meaty aroma that wafted down the entire street, I was a little bit tempted to see if I could make that pork belly fest happen again. After perusing the succinct double-sided menu consisting of cuts of BBQ meats and classic Korean stews, we settled on the Yang San Park Set ($27pp), which came with 5 different meats and a steamed egg pot each. Once we had decided, things started happening very quickly. 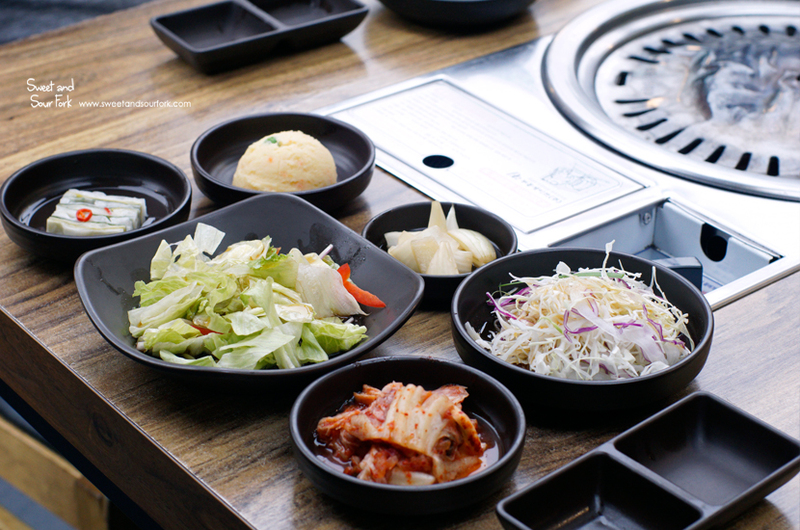 A pot of charcoal was brought to the table, followed almost immediately by the obligatory array of banchan and veggies to go with the meat. Within 5 minutes of ordering, the meat had hit the grill, and we were in business. 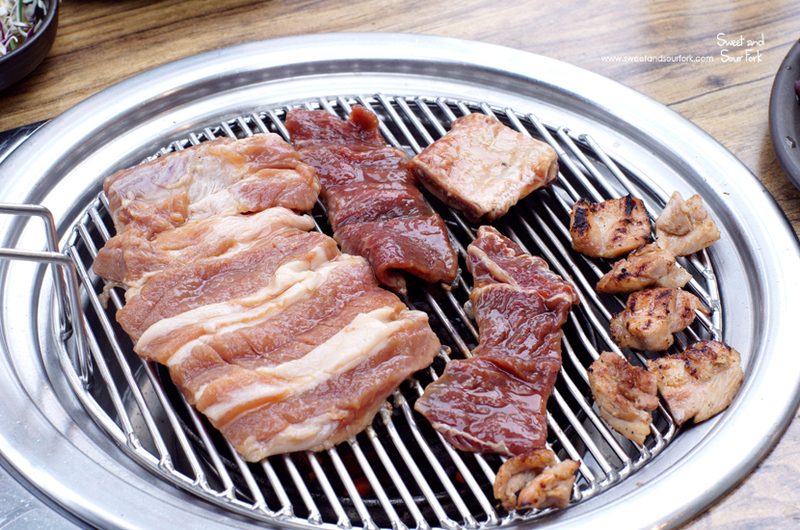 The first meats on the grill were the non-marinated items – the Pork Belly and the Thin Beef Skirt. 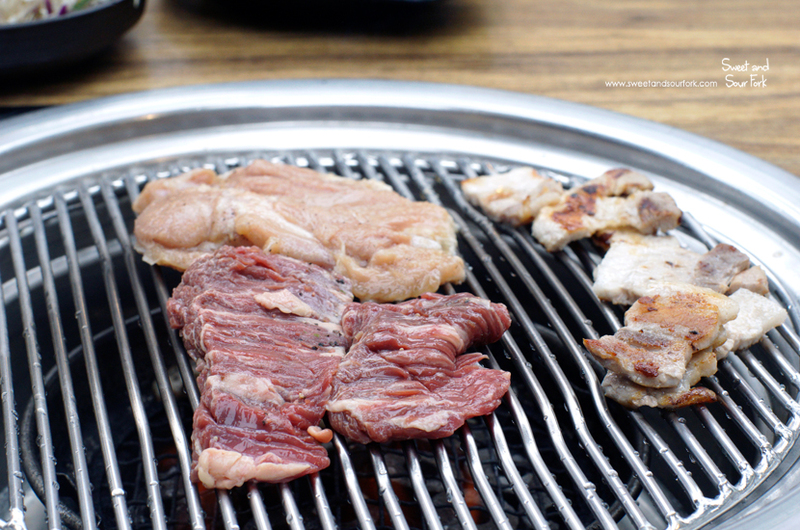 Both cuts of meat were fresh and clean-tasting, and after being cooked to a juicy chariness, tasted great wrapped in fresh lettuce leaves with a daub of spicy bean paste, or maybe a sliver of kimchi. On the other plate was a selection of meats marinated in a sweet yet savoury soy-based dressing. The Marinated Beef Rib was the mildest, which allowed the flavours of the meat to shine through. The Marinated Chicken on the other hand was incredibly garlicky, which I was a massive fan of, and was also remarkably tender. But my favourite was the Marinated Pork Rib. 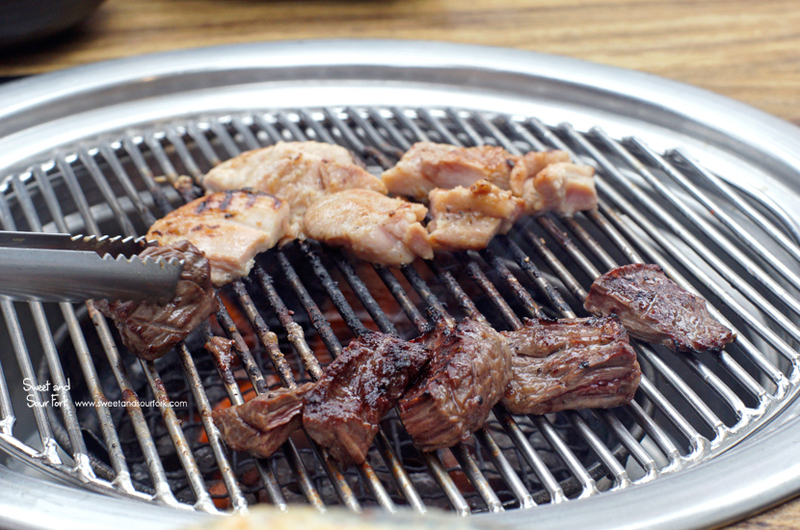 The fatty meat, drenched in marinade, had been caramelised by the flames into a sticky, smoky sweetness. Each bite was so full of flavour, all it really needed was a little salt and sesame oil. But wait! 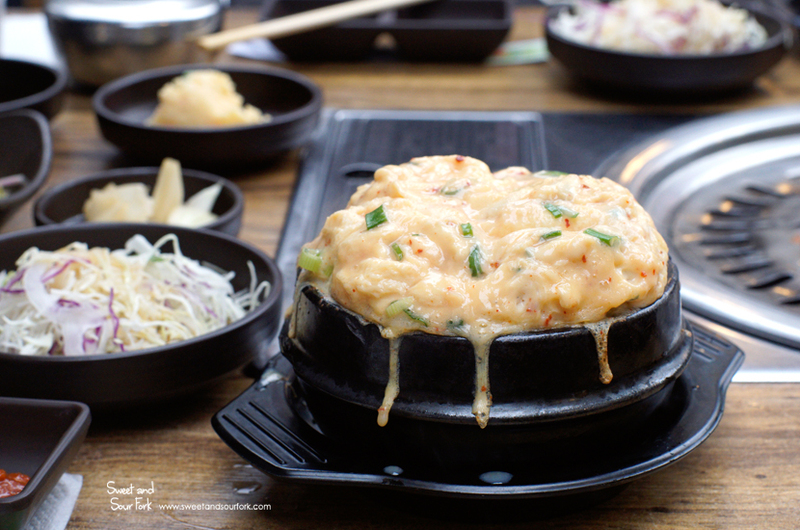 Let’s not forget about the Steamed Egg Pot! As odd as this may sound, this was arguably the highlight of the meal. The egg was whisked through with scallions and a dash of soy sauce, before being steamed into a soufflé-styled dish. The result was remarkably delicious; each bite of egg was light and fluffy, flavoured with just the right amount of savouriness and umami. Best of all was the top, which was still slightly runny, and unbelievably creamy and indulgent. Although everything else we had was also tasty, this is the one thing I would come back for. 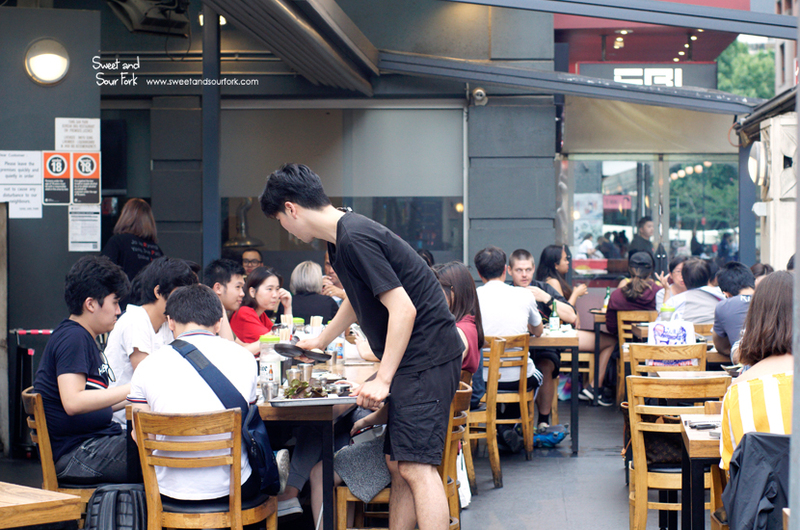 I had a good feeling about Yang San Park ever since the first time I walked past and smelt the rich, meaty smoke wafting all the way down the street, and saw the groups congregated outside waiting for a table. And it lived up to all my expectations with its fresh meats, good value, and amazing steamed egg pot. And surprisingly, the staff were also the most energetic and friendly bunch I’ve ever come across, running around like they’re all on amphetamines, making sure that no one ever wanted for a thing. 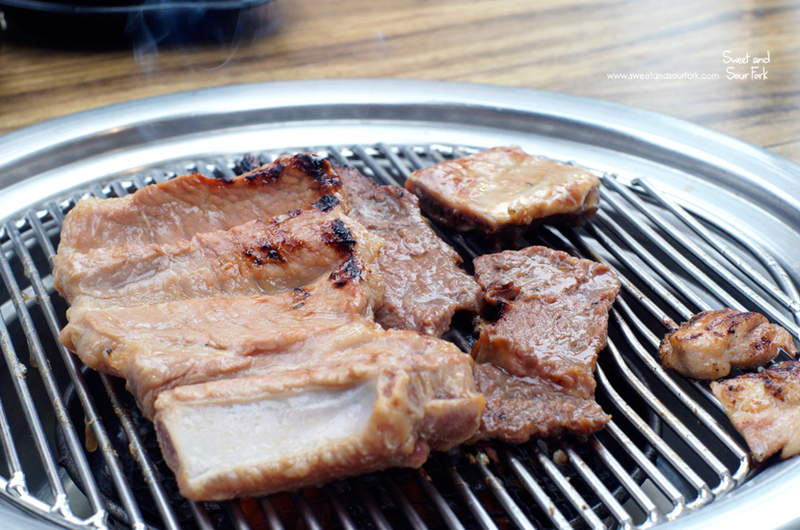 Although it lacks wow-factor (steamed egg aside), it is an extremely solid performer, and I foresee this being one of my go-tos for Korean BBQ from now on. Rating: 13.5/20 – all hail the egg pot.